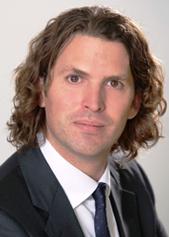 Stephen Day is a partner in the Capital Markets Group, resident in the London office. Stephen advises leading financial institutions and corporations in Europe and the United States in connection with a wide range of structured finance and securitisation transactions, with a focus on complex cross border deals. His work in this area includes structuring commercial paper conduits, structured investment vehicles, multi-country receivables (trade, auto loan/lease, credit card) securitisations, securitisation bridge and private equity take-out deals, whole business transactions and intellectual property financings. Stephen has structured some of the most innovative international financings in the market, including a music publishing royalty securitisation for one of the world’s leading labels, Turkish diversified payment rights securitisations, fleet and equipment leasing securitisations across Europe together with speciality finance, future flow and marketplace lending transactions. Stephen has been named as a leading individual in securitisation, derivatives and structured products by Legal 500 and Chambers and Partners. He is also featured in the 2017 edition of Legal 500 as a leading individual and is also described as an “excellent securitisation expert.” Stephen is additionally featured in 2017 edition of The Best Lawyers in the United Kingdom for Securitisation Law. The 2018 edition of Chambers UK recognises Stephen as being “well-known for his handling of complex, multi-jurisdictional deals.” Prior editions of Chambers UK and Legal 500 have further described Stephen as being “very personable, down to earth and highly capable”; “brilliant,” recognising the quality and breadth of his work across asset-backed and whole business securitisation, and has remarked that he is “mentally agile, particularly on complex cross-jurisdictional matters,” noting that he is both “bright and knowledgeable” and that he “ensures a smooth and secure outcome.” Stephen is also regarded as “prominent” in restructuring matters and is one of the market’s leading advisers with respect to structured investment vehicles. Stephen worked on some of the most significant restructurings during the financial crisis, including Re Sigma Finance Corporation, Re Golden Key Ltd (in administrative receivership) and the U.S. treasury sponsored US$100 billion Master Liquidity Enhancement Conduit. He received his LL.B from The London School of Economics and Political Science, his LL.M from New York University School of Law, and his LPC from The College of Law, London. Stephen is admitted to practice in New York, and in England and Wales. New York University School of Law - LL.M.